Sweet Alchemy Video Slot is a fantastic game to play if you’re a casino Newbie! Indeed, not only will this slot remind you of the famous candy games on social media. But it also comes with a detailed tutorial that you’ll activate if you play in fun mode or by clicking on the book right next to the advanced settings of the game. But don’t worry if the casino you play at does not offer a Fun mode, the paytable also has a lot of information. Alternatively, you can also read the short review below to know more about the feature Sweet Alchemy offers! Bonuses & features: Achievement builder, 3 Different Wilds symbols, Avalanche, Sugar Bomb, Extra Wild, Multipliers, Pick n' click bonus and Free Spins. Max Win: 3,000x your stake. First of all, know that Sweet Alchemy Video Slot is an avalanche, multi-level and cluster pay slot. Which means to win, you’ll need to group 4 or more symbols. As always the amount you’ll win is entirely based on the number of identical symbols in a group. But know that as you play the Sweet Rush meter located on the bottom right-hand side of the reels will also help you make winning combinations. In essence the, Sweet Rush meter will unleash extra Wilds once you’ve completed a section of the meter. And once the meter is full, you’ll trigger the Free Spins bonus! The Free Spins bonus also comes with its own special treat! Indeed, know that if you complete the achievements, you’ll level up. What’s more is that levelling up in this game means that you’ll play a Pick n’ click game where you can win coins and multipliers! Without a doubt, this is a complete game! And honestly, this slot will keep you on the edge of your seat as you play and make you want more! Indeed, the progression feature of this slot means that the more you play it, the bigger the rewards you’ll win. Which means you’d be wise to claim a casino bonus to try this game since it will give you a lot more play time, even with a small deposit! All and all, this slot will appeal to all levels of players but especially to those who love candy games. In fact, Sweet Alchemy is quite similar to social games, but it’s far more rewarding when you play it! 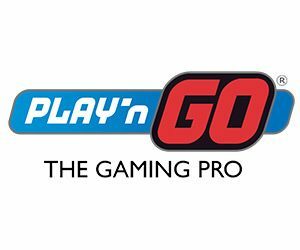 Play’n go slots are available in all the casinos listed on this page. So you only need to pick one to sign up to, to have fun!